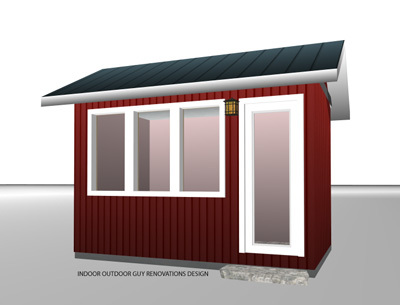 We offer a wide range of different options when it comes to the design of your shed or studio. 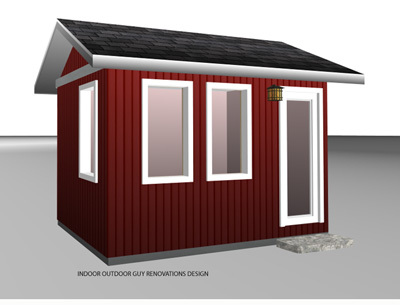 We offer simple economical sheds, as well as sheds with craftsmen or modern designs. 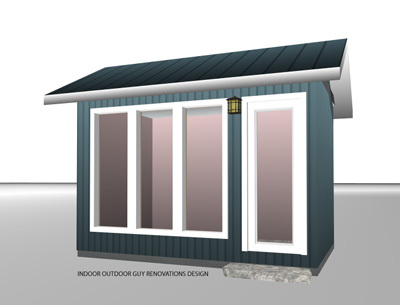 We can also build you a shed or studio that matches your existing house design. 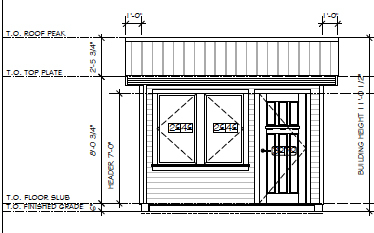 As we do both design and construction we can design and build whatever you can imagine, within reason and budget. The images below highlight some of our more popular designs. 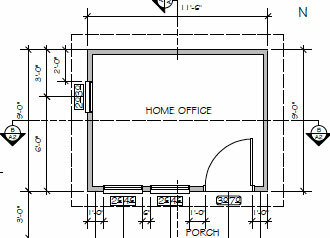 Further down the page we have a number of design concept drawings as well to get you started. 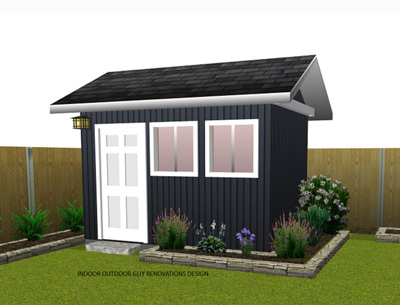 We would also be happy to build you any one of our featured sheds and can offer you a bit better price because we have built them before. We would also encourage you to read our page entitled: Prices and Considerations, as it may help you decide what design is best for you based upon your needs. 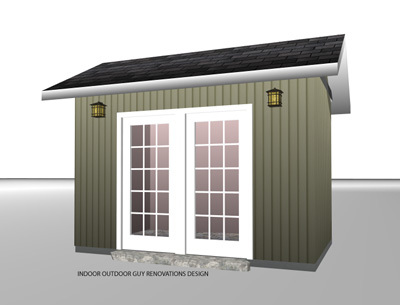 This storage shed is one of the most functional and economical designs that we offer. 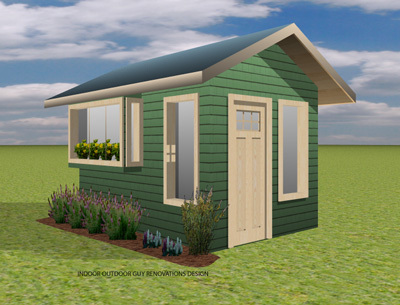 It is built around a standard 8 x12 design. It offers a lot of customization options. 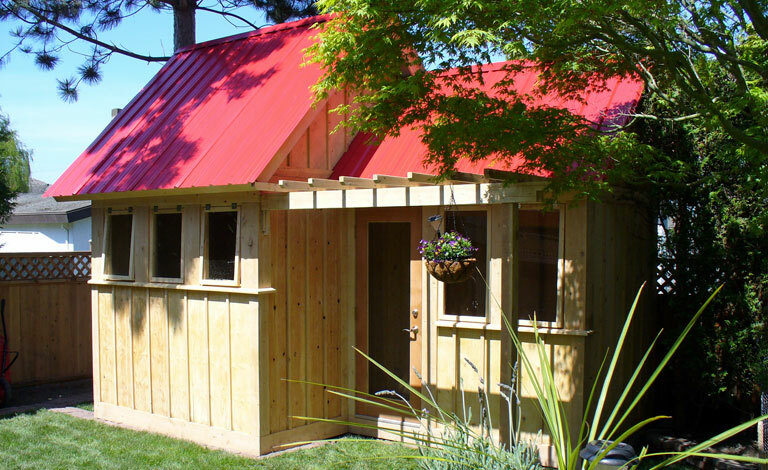 The interior of this shed is either left unfinished or can be finished with 3/8 plywood. 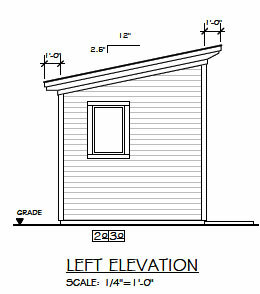 If the shed is oriented south or west facing, due to it's large windows, it does not require lighting or electricity. 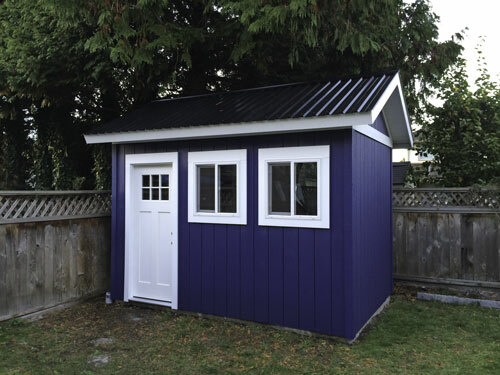 Many things in this shed can be customized, including window and door sizes, paint colors and roofing materials. This studio design has been optomized to work well with desks and office storage components. It has large windows to make the office a warm and bright place to work in. 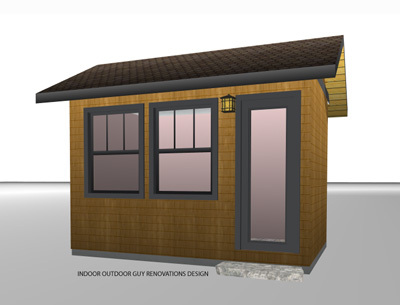 The cedar board and batten design is meant to make it stand out in the backyard and add some class to the studio. 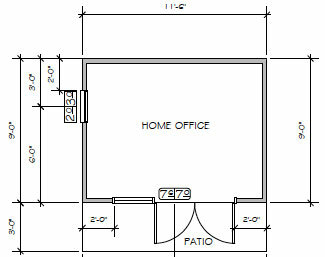 This design is generally equipped with 120V lighting and plugs, and a 120V electric baseboard heater. 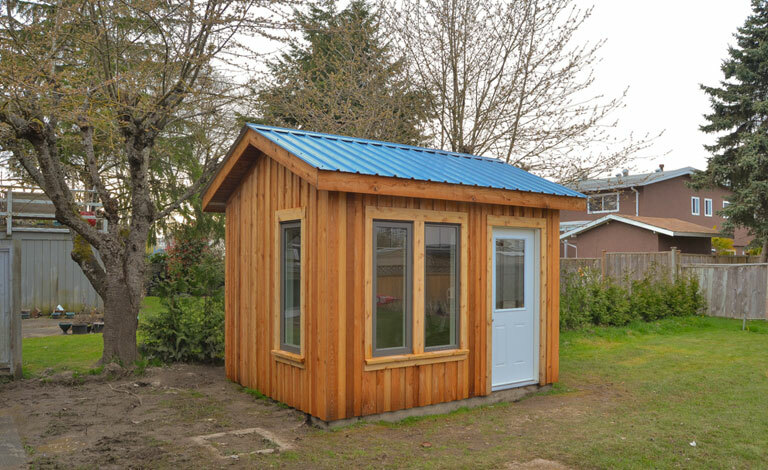 As with many of our sheds we recommend a concrete slab for this studio to extend the lifespan of the building. 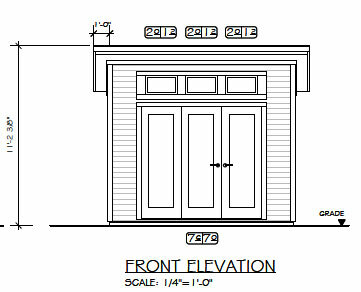 Every detail on this building can be customized to meet your needs. 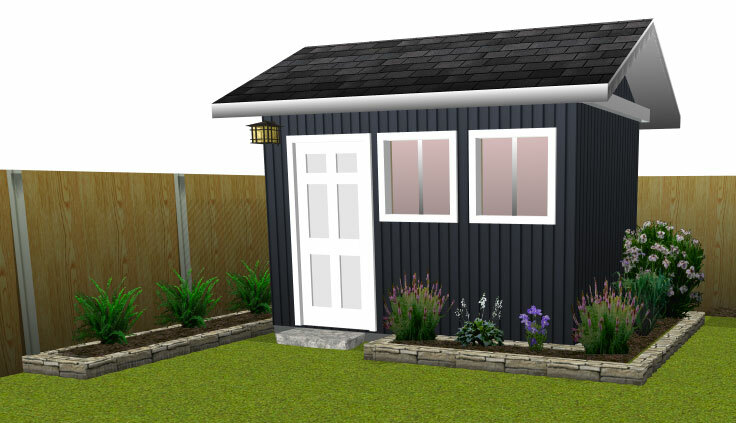 This shed design is requested by some of our clients because the design reflects some of the modern building trends in Vancouver and surrounding areas. It is typically used as an office or an extra bedroom. 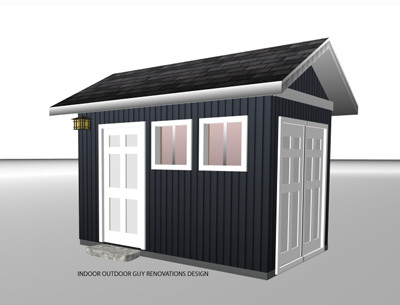 It is incredibly stylish when finished and like all of our sheds will be a feature in our backyard and not a detraction. 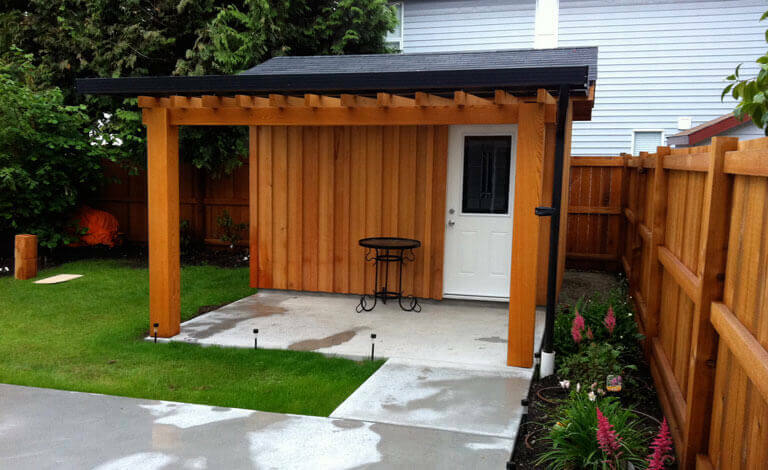 These sheds are designed to be a stylish and classy addition to your backyard. We normally build a garden in one of the corners to be a focal point and design the landscaping around it. 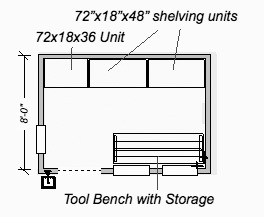 These sheds are often used as a potting sheds orf or tool storage, but these sheds have many other uses. 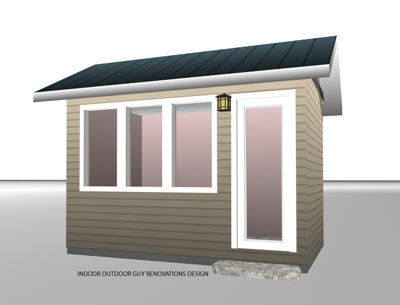 As mentioned before we can design and build for you anything you want. However, these designs are intended to show other options that are still reasonably priced.